We have been in the process of implementing the new British Columbia Secondary School Curriculum in the past two years. We have had a parent meeting last year to seek input from parents and continue to update the Parent Advisory Council, PAC, on what changes are coming. However we realize that many of you have not been involved in these meetings. The following is a brief deacriptionof the major changes we are addressing in terms of BC’s new curriculum. Please contact the ministry website at https://curriculum.gov.bc.ca or contact the school at 604-850-7029 if you would like further information on the new curriculum. Several of the significant changes occuring are related to the new Careers approach to education along with providing a greater selection of options for students choosing their graduation program. This year we have introduced the new Ministry Careers 9 program through our Homeroom. This program does not have a required number of hours in it but outlines the competencies, (new term for outcomes or objectives), of the course that need to be required. The district has chosen to use a software program called “myblueprint” for our Careers program 9 to 12. This is introduced to our Gr. 9s and has an excellent capacity for our students to navigate the different careers options and what the requirements are for them. It will have the availability for them to begin to develop their portfolio which will turn into a grad required Capstone Project by the time they reach Gr. 12. In Gr. 10 they will do a full 4 credit course called Careers Life Experiences or CLE 10. This will be offered in a regular class program backing up to our PE 10 running all year. In Gr. 11 and 12 we will be offering the Careers Life Connections, (CLC), and Capstone a total of 4 credits which we will be breaking down into two 2 credit components. One offered through Homeroom in Gr. 11 as a 2 credit course, the other, Capstone, offered in Gr. 12 again through our Homeroom program resulting in 2 credits leading to a portfolio presentation called Capstone. For a more complete description of the Careers program in BC secondary schools please visit the Ministry of Education’s website at https://curriculum.gov.bc.ca/curriculum/11-12#ss It will be important for you as parents and the students to realize that these are not optional credits and that if they fail to achieve them, they will NOT graduate. 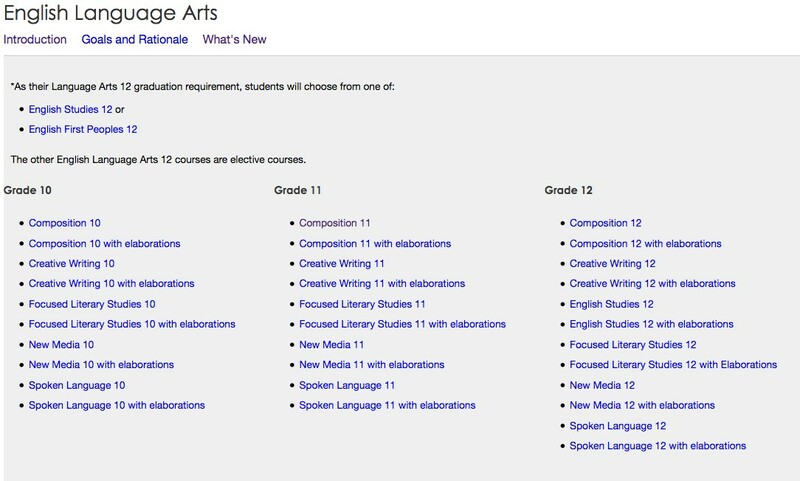 English 10 in the new curriculum is now referred to as English Language Arts and has been divided into 5 new modules. We here at ATSS have chosen the two most fundamental of English modules, Composition and Literary Studies and made them requirements for all of our Gr. 10 students. Each individual teacher has the freedom to add another one of the modules to their instruction at their discretion based on student need and interest. English 11 will follow a similar pattern for the next following year, 2019/20. Social Studies has also undergone significant changes beginning this current year for Gr. 9 and 10s and continuing into Gr. 11 and 12 for next year. 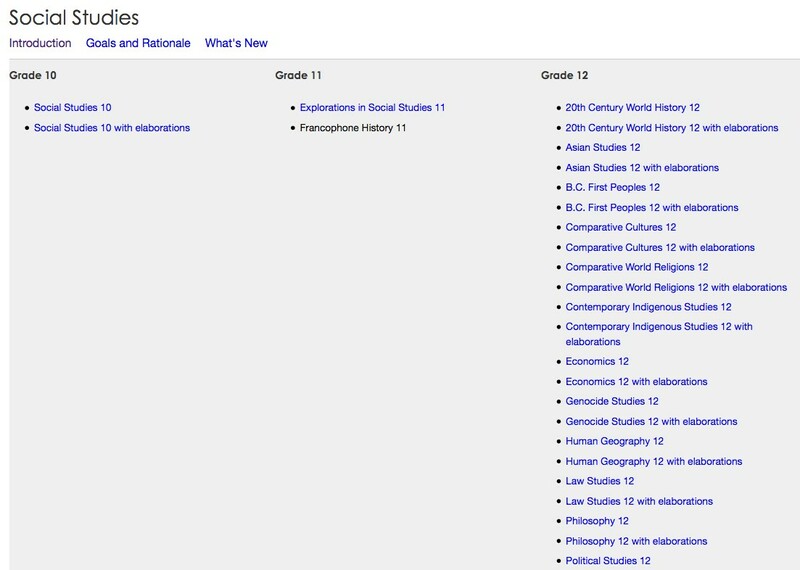 The content of Social Studies 11 has been moved down to Gr. 10 and the content of Gr. 10 down to Gr. 9. Socials 11 is no longer a requirement for gradiation but a student must have one social studies course for 4 credits past Gr. 10. We have chosen to introduce a new Gr. 11 Social Studies course which is Explorations in Socials Studies 11 along with several other optional Socials courses, Law 12, History 12, and Social Justice 12. These courses rely on student choice to see if they will run each year. Mathematics will continue on much the same path as before following the needs/interests of our students. We will be offering Foundations and Pre Calculus 10 along with Apprenticeship and Workplace Math 10. For Gr. 11 it will be Pre Calculus 11 and Apprenticeship and Workplace Math 11. For Gr. 12 we will offer Pre Calculus 12 and Calculus 12 along with Advanced Placement Calculus 12. As with Mathematics our Science courses will essentially remain the same with some minor changes. In Gr. 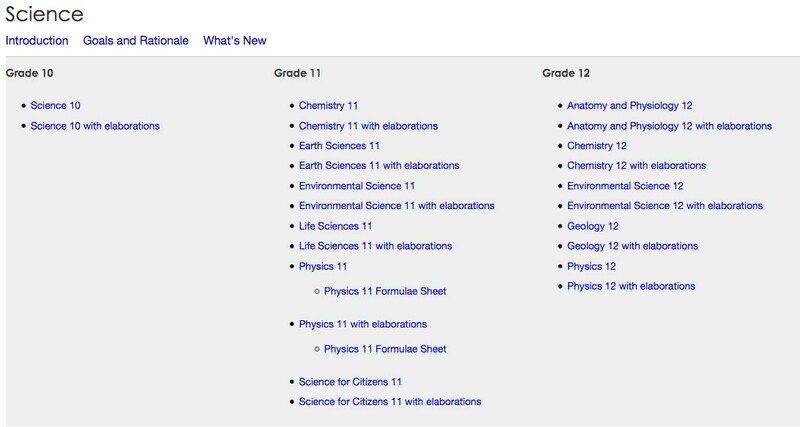 11 we will offer Earth Science 11, Chemistry 11, Physics 11 and by the school year 2019/20, in place of Biology 11, it will now be called Life Sciences 11. This will also transfer in Gr. 12 with Biology 12 becoming Anatomy and Physiology 12. As you can see the ministry is offering a wide selection of courses to choose from. As we do not have enough students to make every choice available, we have made our choices based past student need and choice as well as teacher expertise. Should you have any further questions please don’t hesitate to contact me at the school at 604-850-7029.